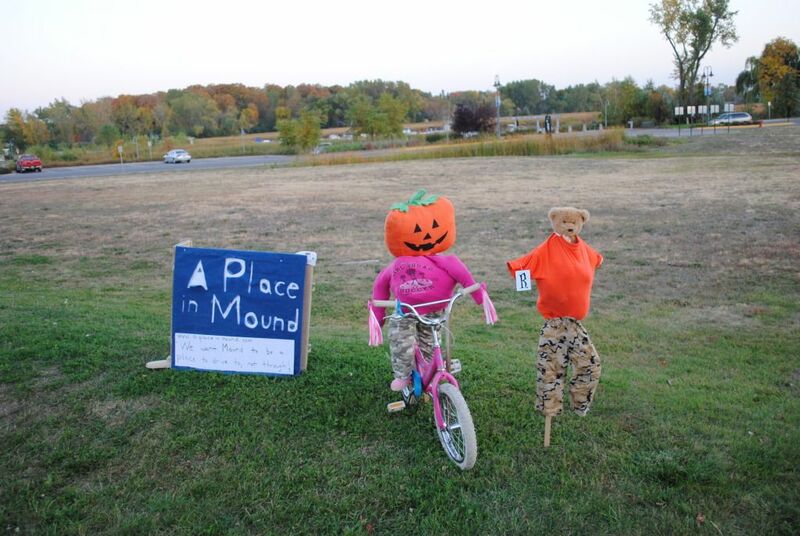 You may have noticed all the Scarecrows about the Mound area. The Scarecrows are up because of an effort from Celebrate Greater Mound! and you can take part in the contest to find all letters, you can vote for your favorite Scarecrow, and be sure to join the fun this coming Saturday, Oct 6, during the Farmer's Market and ECFE Stroll-a-thon as there will be activities and fun to be had for all ages! Everyone is excited about the potential of a new development along Auditor's Road. In some ways it has been frustrating to drive by this blank lot every day and feel the let down that things didn't go as planned. On the other hand, the city has been saved, in a sense, in that we don't have a big white elephant of an empty building either. It's almost a clean slate that the city gets to work with. The fact is, if something starts to get built along Auditor's Road, the city is in a powerful position to get what it wants. What does the City of Mound want?! It strikes us that in these times, the priority that should be on the top of everyone's list should be finances. Mound NEEDS to be sure that whatever is going to be built, will be productive and valued. Property taxes collected on these lots will go a long way in securing the finances for the city as federal and state money continues to dry up. Whatever is built here needs to be a big money maker for a city which just eliminated it's police department. The potential of the Lost Lake Villas. So let's first see how much money each "block" collects for property taxes. The Lost Lake Villa's Currently produce over 90K in property tax revenue. 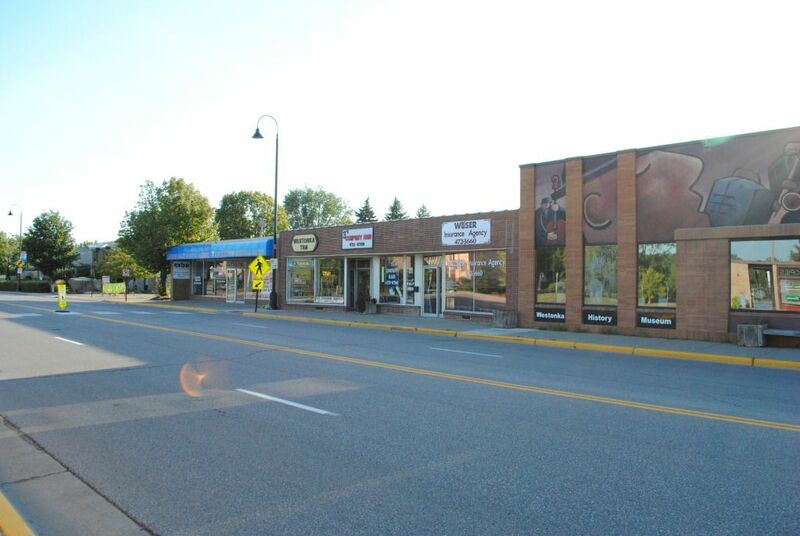 This does include the Caribou Commercial lot, which hosts Caribou, Larsen Chiro, and Sir Knight Cleaners. Island View Drive currently produces over 85K in property taxes. And that's with no commercial property help. 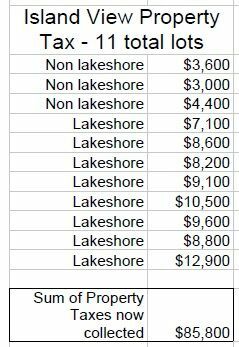 So it's really no surprise that the Lake Lake Villa's can't produce the property tax revenue like Island View Drive without the Commercial help. But, what would happen if ALL the Lost Lake Villa's were improved and had housing on them as was conceived? If Lost Lake Villa's were all built, they would produce over 166K in property taxes, plus the commercial property tax collected. If all those little lots were improved, this block would double it's production of property taxes. Might the city enjoy another $90K in the coffers? 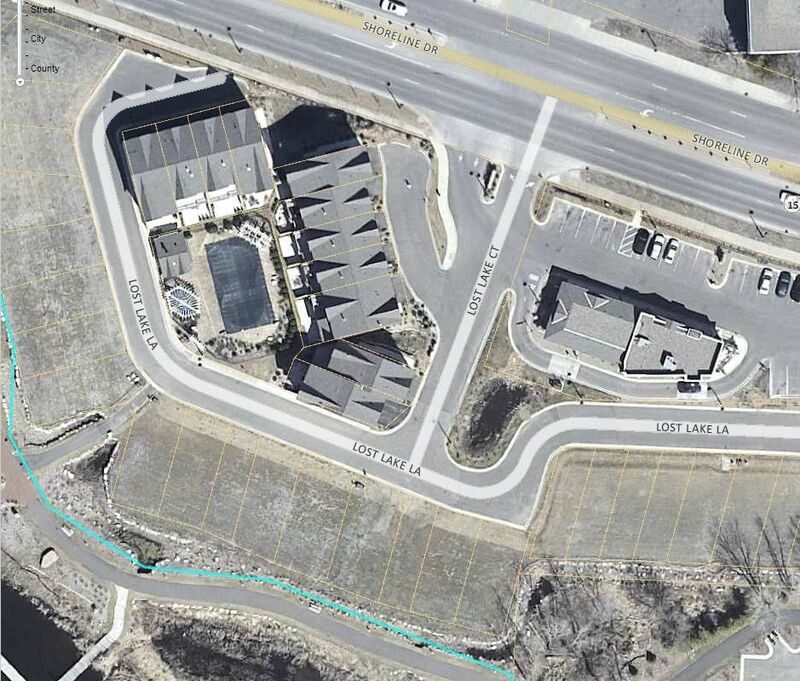 One benefit from those smaller lots as we see here is the ability for the city to produce more revenue. I don't know how city financing works, but I imagine it is also cheaper for the city to maintain 37 properties this, as t has less street to manage, and utilities are more easily managed. The last point I want to make here is people... look at the population potential here. I have no idea what the "average household population was, so I just averaged 3 in each house. Currently the population of both these blocks are the same. But what is the potential population of the Lake Lake Villas if all the properties were improved, and they were all filled? 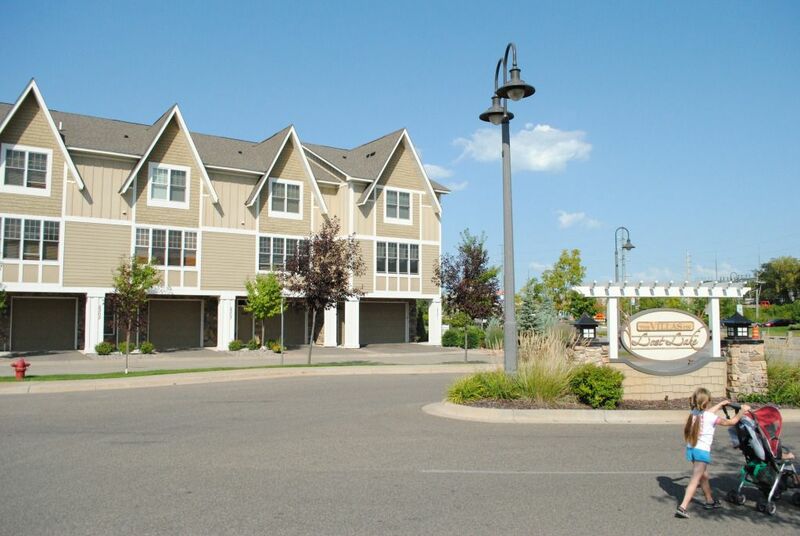 Population of Lost Lake Villas explodes, where there is little potential growth for Island View. 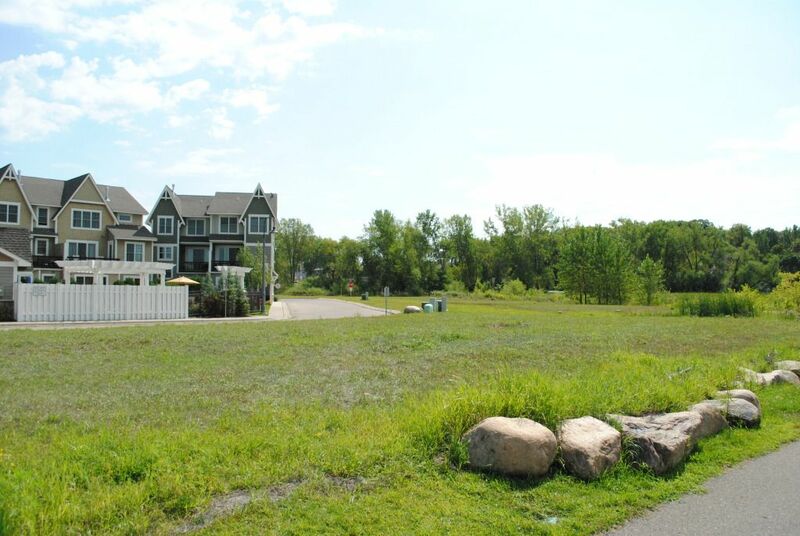 We aren't trying to argue that the Lost Lake Villas is a perfect development. Clearly there's something about the place that people aren't attracted to, though I'm uncertain what it might be. What is clear is that there are some good things to come from developments like this. It's places like the Lost Lake Villas that will improve our cities finances. These might be the places baby boomers will want to move to as they tire of their huge homes. These also might be the place a young family might move to, to take advantage of the nearby transit center. An entrepreneur may want to live close to the ice cream shop he/she is setting up down the street. So before you disparage the Lost Lake Villas, think about what developments like this brings to the city of Mound, and the opportunities it may bring to other people. Just because you don't like it, doesn't mean others won't. Also, no one is making you live there. Also, please remember that I have no formal training in comparing property taxes, or populations. So I would welcome any corrections to my analysis. A big part of the reason why I'm doing this is because I'm trying to educate myself! So go ahead and set me straight! It's been a great couple of days here at "A Place in Mound". I had several people, of whom I had virtually no contact with, sharing compliments of the discussions taking place on this website. It is very gratifying to know that some of what I am trying to write does make sense and rings true for others. It is very energizing when I get that kind of energy. I hope that if you find value here, that you pass it on to your neighbors and friends. It's not just Mound that is struggling... cities are having a tough time, and ideas that are shared here are ones that could just as easily transpose somewhere else. I am trying to create one new post everyday. You can get notified of new posts by going to this website everyday, or liking us on Facebook, or submitting your email (on the right hand side of the screen) so you can get notified with new posts, or subscribing to our RSS feed. 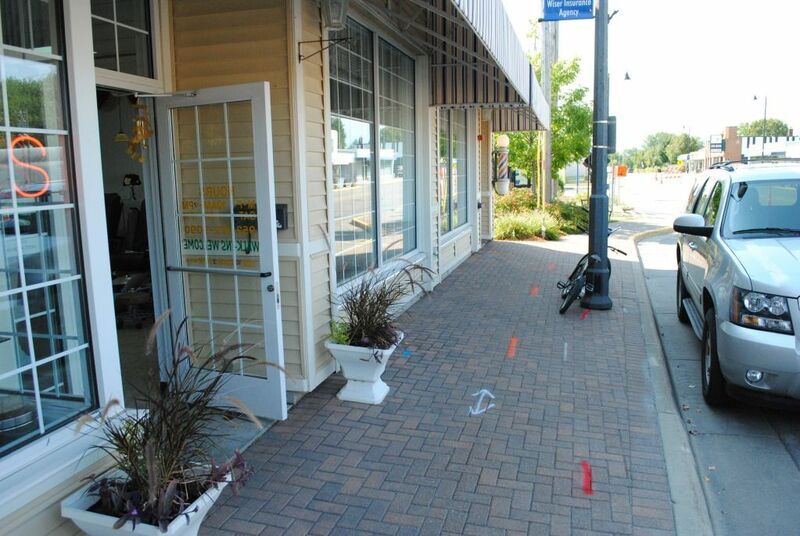 Word is that in November, the Watertown Pharmacy will be opening a location next to the Ridgeview Clinic in Spring Park. Discussions are still going on with the Westonka Animal Hospital and the potential of them moving to the Commerce location by Jubilee. The Mound City Council revealed Tuesday evening that they are entertaining multiple developers for the Harbor District. Talk and proposals are really ramping up, and discussions include a hotel. "A Place in Mound" will likely have more to say about this in the coming days. The staff of Mound is planning an informational meeting at Al and Alma's on Monday, October 22. Social time at 6:15, and a program at 7:00. If you are interested to attending contact Kandis Hanson at the city to register as space is limited. There is going to be a community meeting called "Heroine: Our Community" on Thursday, November 1st at the Gillespie Center. 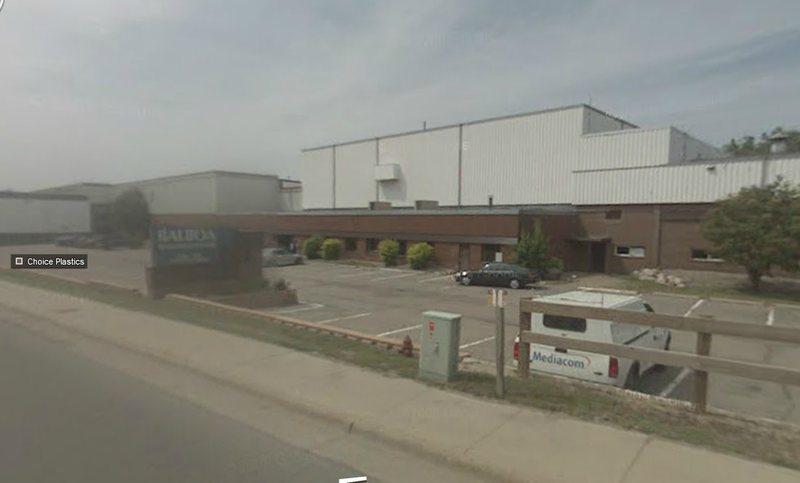 It is being hosted by most of the cities around Mound, and Westonka schools, and will feature a speaker on Drug Abuse from the Minnesota Department of Human Resources. Parents are especially encouraged to attend. Check out the great photos from Dog Days Westonka. The Westonka Historical Society is hosting a presentation about the history of Mound schools at Minnetonka Shores (formerly Presbyterians Homes) on Saturday, November 10 at 10AM. Thank you everyone! Let's keep working to make Mound a Place to drive to, not drive through! 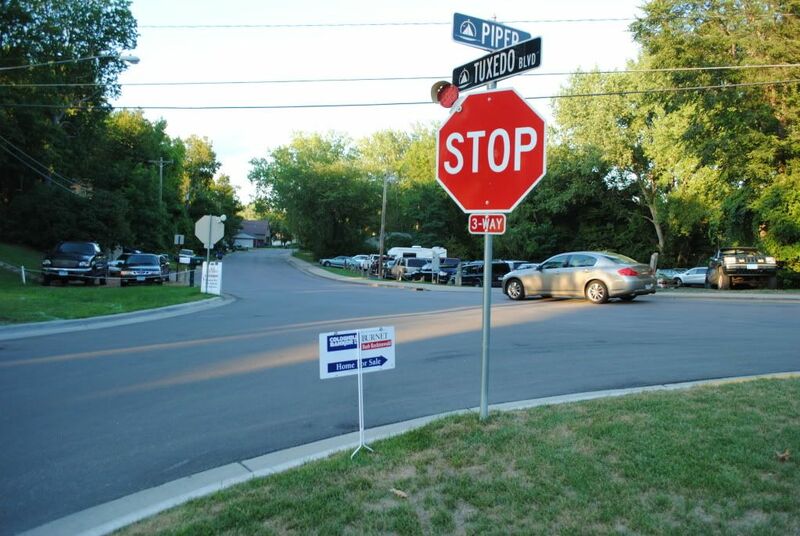 As we talked about last week, events that usually take place on Auditor's Road, should be tried to be held on Commerce Boulevard, between Auditor's Road and Shoreline Drive. In our exuberance for this idea, and the hurried fashion to write about it that morning, and as we explained it to anyone who would be interested since, we may not have been clear about a couple of points. First clarification, we only need to shut down traffic on Commerce south of Shoreline Drive, and north of Auditor's Road. Traffic can easily be diverted around on Auditors Road. Several people suggest the near impossibility of this traffic diversion on a County Road. 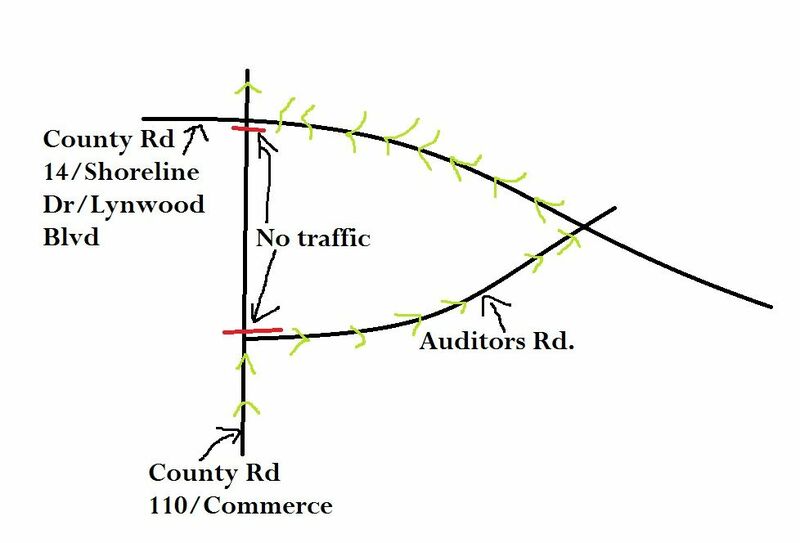 We are certain that the county can be made agreeable to this traffic adjustment, as long as there is a plan that is clear and easy, such as we have with Auditor's Road. 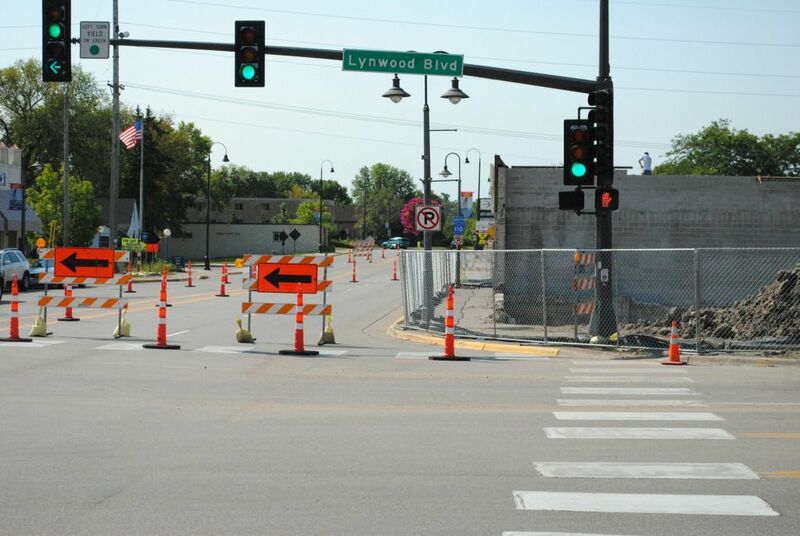 If the City of Mound thought improving the businesses along Commerce was important, this traffic diversion can be managed. Traffic is easily routed along Auditor's Rd. Second, we, as a city and community, need to support and promote local businesses that already exist. We look at the local businesses along the old storefronts along Commerce, and it seems like they are forgotten places that are standing right in front of us. Everyone talks about the Farmer's Market, and the wonderful events like Dog Days and the Tree Lighting Ceremony. We all wait with bated breath for someone to build a new and shiny business along Auditor's Road. Look on Commerce though, we have a number of businesses right now, on that block, that sees little love from our community. Will the City of Mound show Commerce a little love? 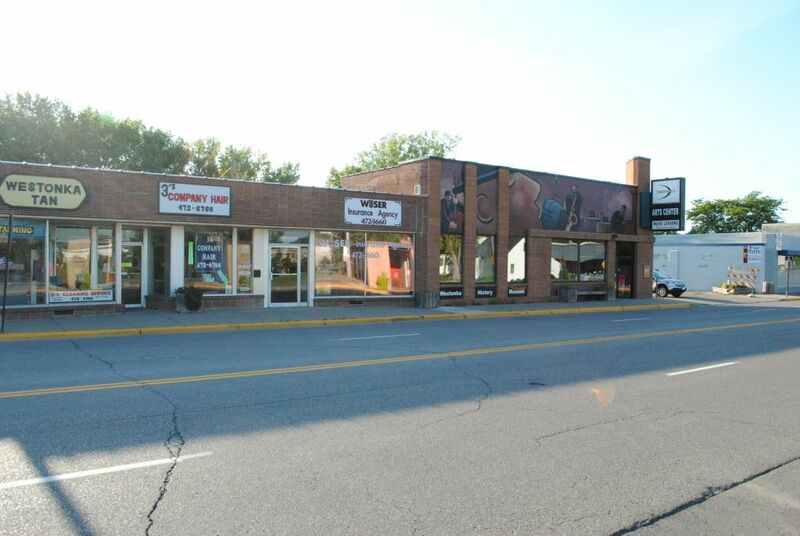 Third, if we were a developer examining the support Mound offers to its local businesses and if we examined this stretch of Commerce, we would hesitate to risk building a business in Mound. 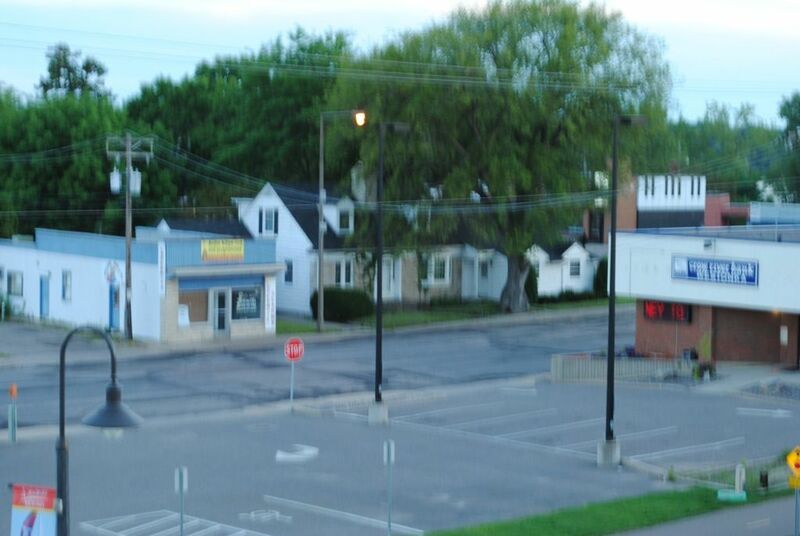 The lack of on-street parking would be a big turn off, as well as the lack of people, lack of connections between us, and the business opportunities on this block. It is clear that this block is a place where everyone drives through, no one drives to it. But what would happen if we shut down Commerce between Shoreline and Auditor's Road, and put people there. 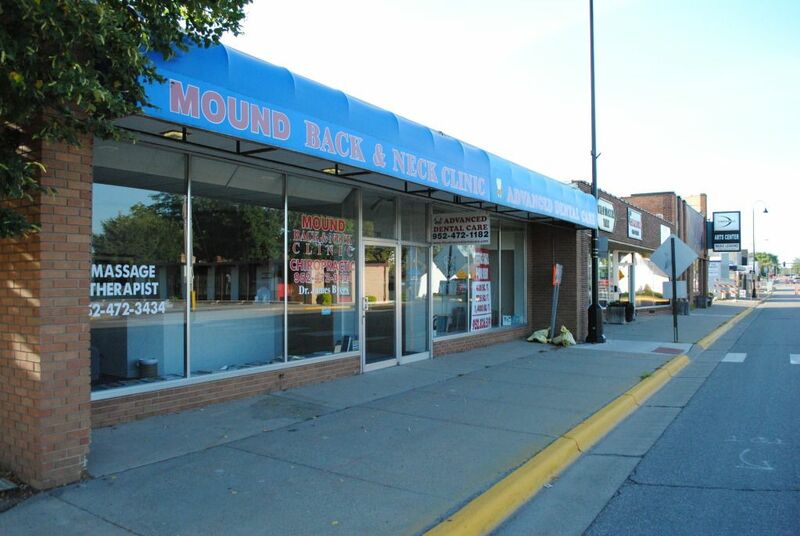 What would happen if the Mound Farmers Market was lining up it's tents and wares right on the street, next to Threshold Music, and Keystone Chiropractic? Would 3 in 1 Salon and Press Perfect enjoy seeing people actually walking by, and maybe stopping in for a visit? Would folks at the market, after picking up their Brusselsprout stalk, decided to peek in Tonka Tunes, and browse through their albums? Hey Cal, would you enjoy seeing more foot traffic on your sidewalk Saturday mornings? We don't know if that's what would happen, but it's definitely not happening now, and would definitely be worth a try out, don't you think? We understand why Auditor's Road is the place for some of these events. As it was originally conceived, those events would be taking place along all the new shiny business that were going to be built. Auditor's Road was, in essence, built for those type of events. But those businesses never were built, and may not for a couple more years. Is it rational to continue to celebrate a space that is yet to realize it's full potential? Can the success of the Auditor Road events and Farmer's Market be brought closer to the neglected stores on Commerce? This is another easy and cheap idea that we can do to make Mound a better place... all it takes is a little gumption, creativity and persistence. Looking through the Mound City ordinances on city administration, you would find a few lines referring to the Mound Economic Development Commission, which was decommissioned in 2001. At the end of a city council meeting in late May, the mayor hinted that he and the city staff were exploring the possibilities of bringing back the Economic Development Commission, in regards to potential downtown developments and vision. If a new EDC is formed, it could be a powerful player in how this area turns out. How does an Economic Development Commission (EDC) factor into this? A board like this would take a first look at proposals that will be coming into the Mound Harbor District (our Pedestrian District). Giving the city staff, council, and potential developers another set of eyes of the possibilities that will be coming to Mound as the economy improves. The EDC would only have advisory powers, leaving the city council with final say on matters. I will add that there is an outside chance of Mound creating an Economic Development Authority (EDA). This would be a board with considerable power, including buy, sell or lease land, Eminent Domain, make contracts, and MANY other abilities. The advantage with an EDA is that is can act more quickly, and relieve the city council of these issues. I honestly doubt this would be the way the city will go, but none-the-less it is an option I imagine they are considering. Will we throw away these property tax generating properties? One area of focus perhaps an EDC could bring to the forefront could be the financial impacts of development like we studied a couple weeks ago with the Walgreens development. As you might recall, the city spent months looking and talking about the project, but financial considerations and the impact on the Mound city spreadsheet were never brought up. As we looked at it here, it seems clear that the city would be lucky to break even in property tax revenues. * This is going to be more and more of an important perspective for the city to consider as state and federal funds and drying up, and the refusal to raise taxes. Consolidating the Mound Police with Orono will help with the short term, but we are far from daylight as the city budget will continue to be tightened even as projects will be developed. Hopefully a new Economic Development Commission will understand the need for PLACES, and could help Mound become a Place to drive to, not drive through. *-I have reached out to the city to see if they come up with different numbers, and if they do, I will share them here. I recently came across this fantastic presentation about the impact of the automobile on cities. Rethink The Auto is devoted to showing the truth, that the automobile poisons the places we want to me, and destroys downtowns. A lot of this video is about New York City, but they are concepts that would easily transpose to Mound. Late this summer Mound went through some brief lane reductions on Shoreline Drive and Commerce Boulevard due to construction. I was fascinated mostly with how traffic continued to move through these spots with barely a hiccup. Merging to one lane, eastbound on Shoreline Drive. No problem! I happened to be at the corner of Lynwood and Commerce when construction of Walgreens started and southbound Commerce was reduced to one lane. It was end of work day traffic, with lots of cars going south, stopped on a red light. There were also a few cars trying to get out of the parking lot by the Verizon store. "Oh no," I thought to myself, "There are too many cars, and people will not be able to get through the intersection very well!" Moments later the light changed to green, and all the cars, including those in the parking lot, got through just fine! Southbound Commerce traffic reduced to one lane... and it went smoothly. But no accommodations for Pedestrians here. You have to cross the street. There's no where for you to walk to anyway! This all reinforces a thought I've had now for several months. There really is no need for four lanes on Commerce and Shoreline. It only gives cars a reason to drive faster. I've lived in Mound 9+ years now, and just the other day I noticed a sign on Shoreline as I was driving into town from Spring Park saying "Pedestrian Safety Zone" "Laws Enforced." Beware... you are entering the "Pedestrian Safety Zone" Be assured that the 'law' is enforced here. 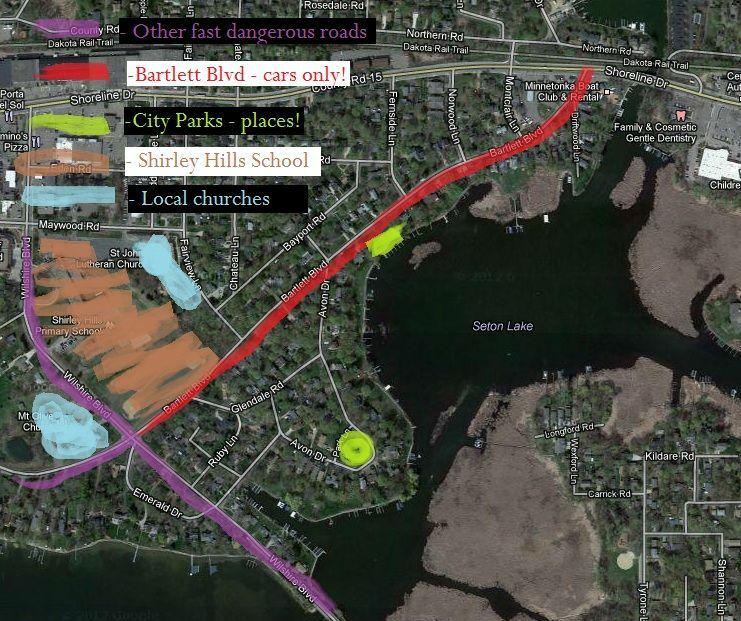 There is NO WAY anyone driving into Mound on Shoreline would think to slow down for pedestrians. First of all, there aren't any pedestrians. Second, the lanes are so wide that there is no need for them to think they need to slow down because there is plenty of room to just drive through. Third, we have been taught since we were little children to stay out of cars way. If you are in the car, pedestrians (or as I try to call them... "People that Walk!") should stay out of your way. Plenty of room allowed for cars to drive through here. People aren't really wanted. Also, as just stated, there are no pedestrians on Shoreline anyway. There's no 'place' to walk to, expect maybe the Post Office. 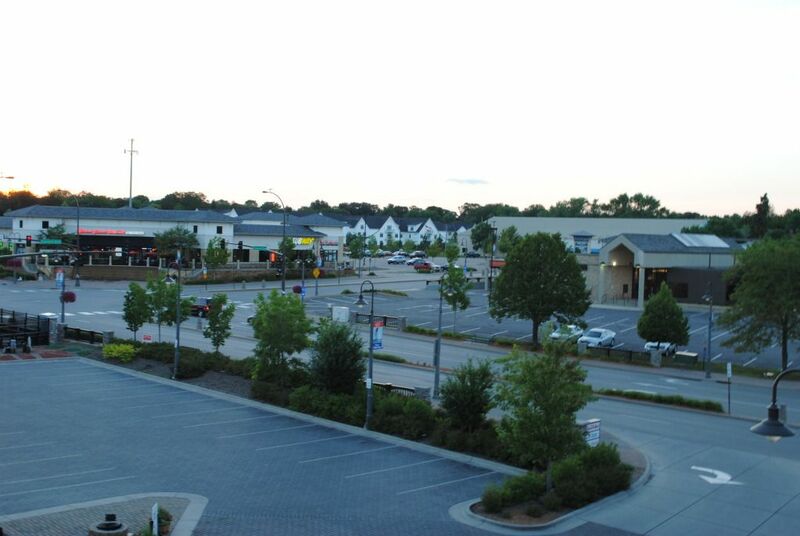 Otherwise, you would have to walk along busy traffic on Shoreline Dr, and past parking lots and auto centered businesses like the Stonegate Plaza (ECFE, Dollar Store), SuperAmerica, Caribou, and the Transit Center (more parking). 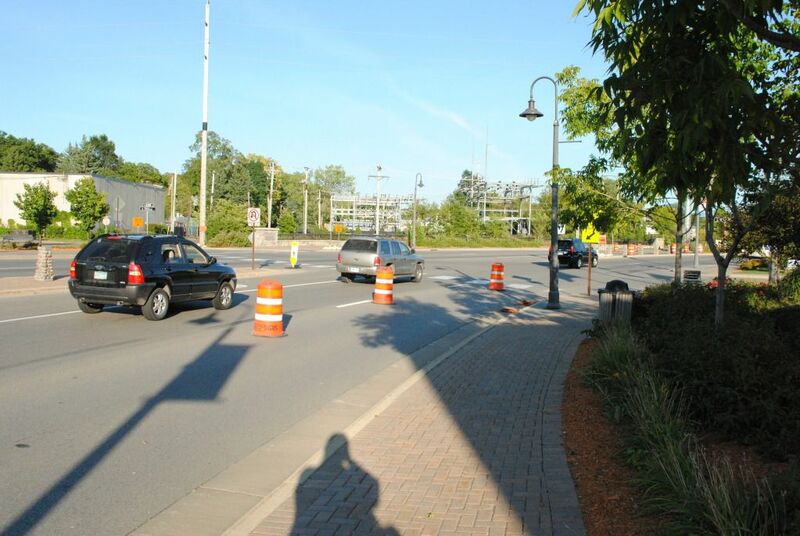 To call this a "Pedestrian Safety Zone" is a real bad joke engineers are putting on us. 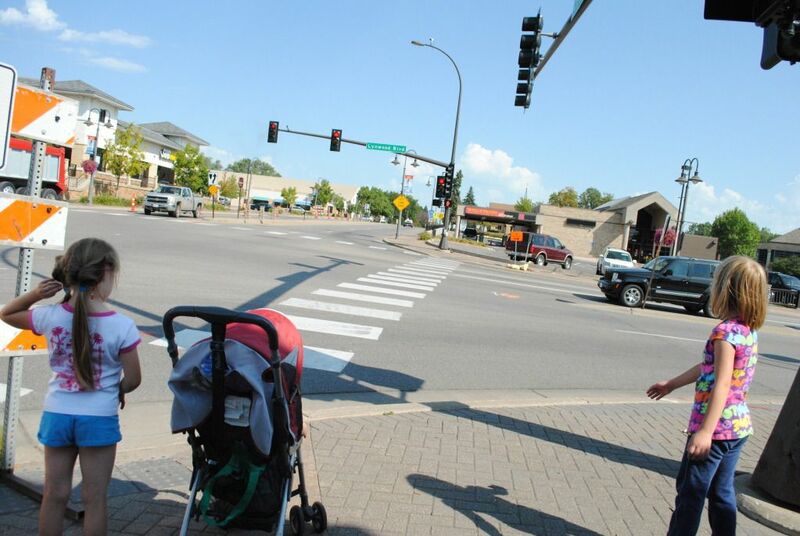 Children maneuvering through the "Pedestrian Safety Zone"
Reducing a lane on both these streets clearly won't truly turn Shoreline Dr and Commerce Blvd into Pedestrian Zones, but it would be a start. How much easier would it be for Dakota Trail users to cross two lanes of traffic, instead of four? If we stopped cars from using that outside lane on these streets, it gives bicyclists a better chance to safely bike to Jubilee or Carbones. 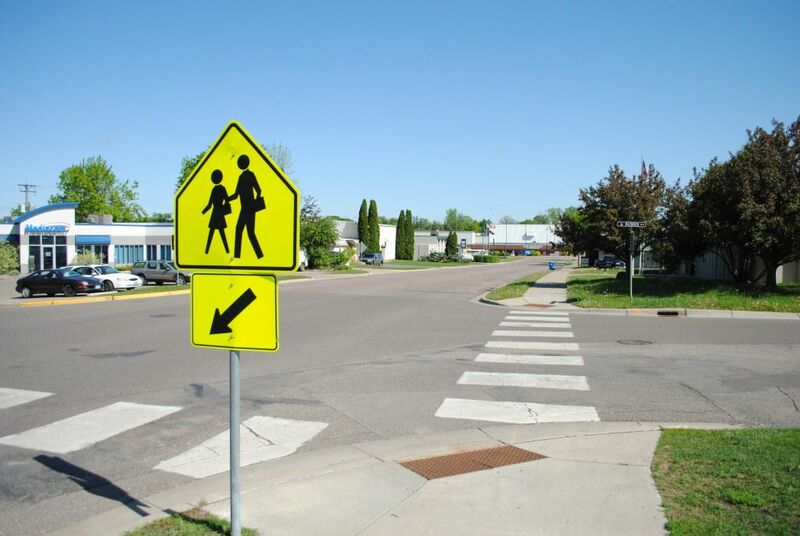 Here's another short Strongtown video demonstrating this crossing in Fargo, ND. Lane reduction makes sense in so many ways. It calms traffic, it makes our downtown more pedestrian and bicycle friendly, it gives people a REAL chance to stop. If you think Mound needs four lanes of traffic on these streets, then you need to seriously ask yourself the question, is Mound a Place to drive to, or drive though? Because if you want "Mound to be a place of business", "Mound as a destination", then Mound needs to have a serious discussion about it's streets, and how they can be retooled for people... not automobiles. It's been stated here several times how much we love the events along Auditor's Road, including the Greenway and the Mound Farmers Market. It cannot be denied that these Saturday morning events create great glimpses of city life that the downtown Mound desperately needs. Mound Farmers Market. A great event, and a great place. There is one problem with these events that has always bugged us about them... the disconnect from downtown business on Commerce. How many of us actually go visit a business along Commerce while going to Dog Days Westonka, or getting some vegetables from the Farmers Market? Who goes to Commerce Boulevard on Saturday morning? That is a disconnect there that is wrong, and unhealthy for our city. 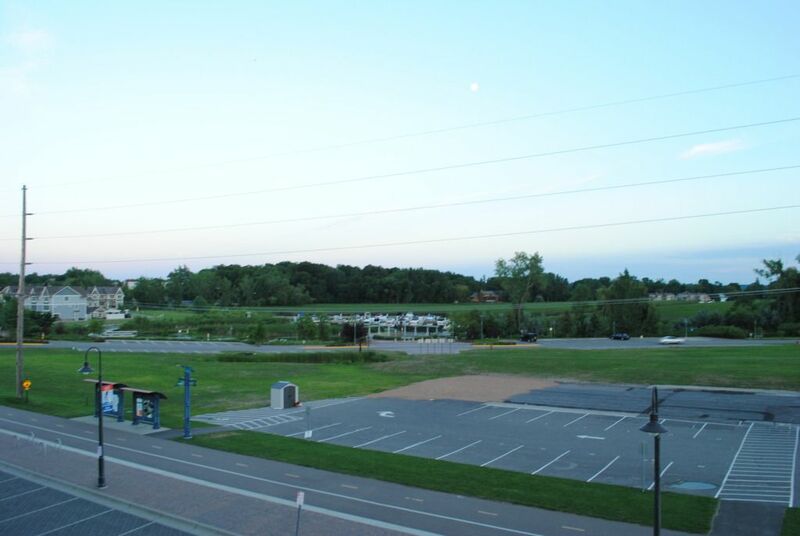 Instead of placing all those Farmer Market vendors in a parking lot behind the bank, or having all the activities like Spirit of the Lakes by the Andrew Sisters Trail and public docks, they should be lined up in the street on Commerce. 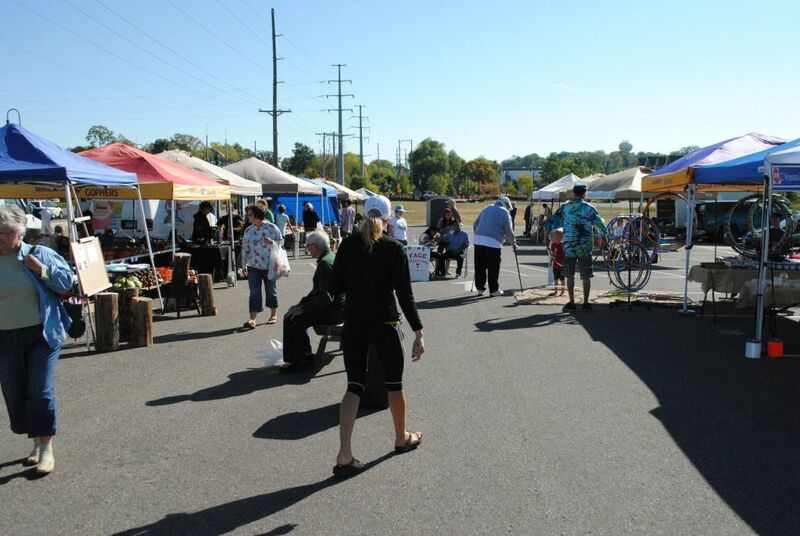 Let the vendors, and small businesses, and those customers have some interaction with the Commerce Blvd businesses. You increase the opportunities for personal and business connections. Imagine these kids playing in the Street, on Commerce! Automobile traffic can easily be diverted around on Auditor's Road. Those are people who are just interested in driving through Mound. We don't care if it takes them an extra minute to get around downtown. What we are interested in is giving people, and businesses a PLACE to do what we all want them to do. This is an easy and cheap idea that could give those businesses we all drive by on Commerce, a chance to prosper, if only for a Saturday morning. Let's work for opportunities like this to make Mound a place to drive to, not drive through. Everyone makes mistakes, including our own dear officials in Mound. Since I've noticed this problem, it bugs me almost everytime we drive by here. 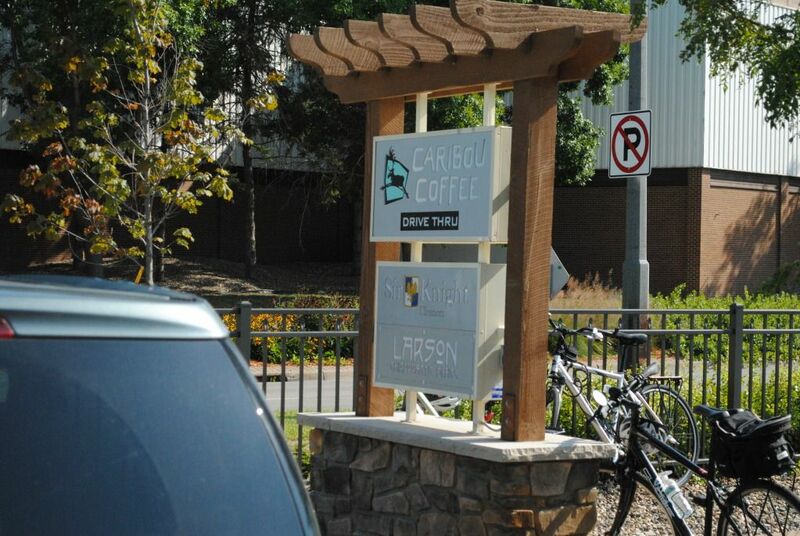 There is a monument sign outside Caribou Cofffee on Shoreline Drive to advertise the three businesses that operate here, Caribou Coffee, Sir Knight Cleaners, and Larsen Chiropractic. Monument sign in Caribou Parking lot. Note the bike parked here, as there is no bike rack at Caribou. Here's how the sign looks every time I drive by it. You can't even make out the bottom two business names when you are driving past this business, as the iron wrought fence blocks the view. Looking at the monument sign from the street. Who knows what happened here, but it seems to me there's got to be a remedy here... move the fence, or the sign somehow... raise the sign? Either way, it seems to me a terrible disservice to these local businesses that this is allowed to continue. If this was the city's fault, the property owners here should be working hard with the city to fix this. The city of Mound's staff and city council want local businesses to succeed, and I'm sure would do whatever they could to fix this. If this was the developers, or property owners fault, those businesses should be raising hell about it. Signs and logos are big investments, and this sign right now, is a big waste of their time and space. Think about the potential business looking to move to Mound. What would they think if they saw a sign, that wasn't visible to the majority of the people driving past it? It suggests that we plan and build places carelessly, and won't make an effort to fix it. This also tells people, "Go ahead and drive through here, we don't really care if you to stop." We're not about casting blame here, we, like anyone else, just wants this fixed. If the city really value local businesses, quick swift action to fix this mistake . Because we all want Mound to be a place to drive to, not drive through! 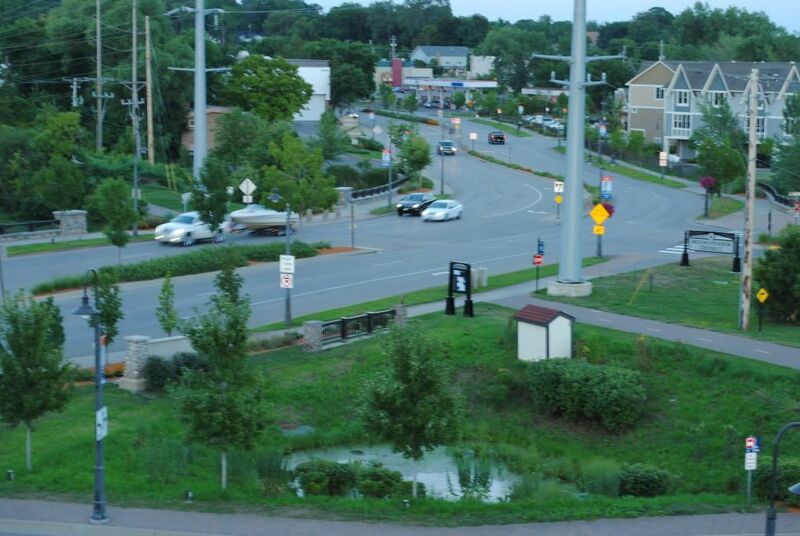 Mound is part of a larger community of cities that support it's own Cable cooperative called the Lake Minnetonka Communications Commission (LMCC). With a tremendous amount of help from volunteers, they manage to staff all the area's city council, school board, and other important government meetings. They provide free classes so that anyone can learn to use their equipment, and then anyone can produce a show. It's a tremendous community resource that too often gets taken for granted. There is a couple of paid staff at their building in Spring Park. They made this video over the summer, was nominated for and Emmy, and has been awarded Alliance for Community Media's Hometown Award in the Children's Programming category. The 4th annual Scarecrow Stomp is coming in a month on Saturday, Oct. 6th. 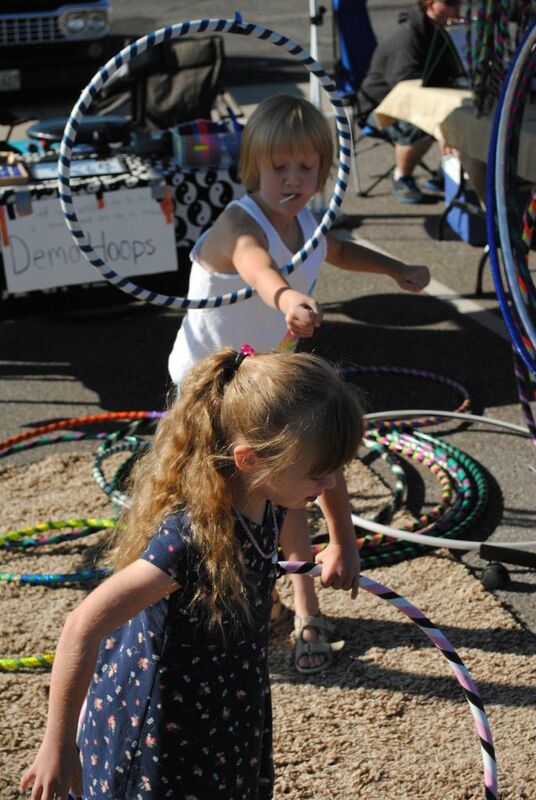 Celebrate Greater Mound puts together this awesome day with the Mound Farmers Market, and is coordinating with the Westonka ECFE Stroll-a-thon. My family had lots of fun creating a scarecrow last year, and put it on the Dakota Trail. The deadline to submit applications to put out Scarecrow's is Friday, so get your application filled, and help make Mound a destination! 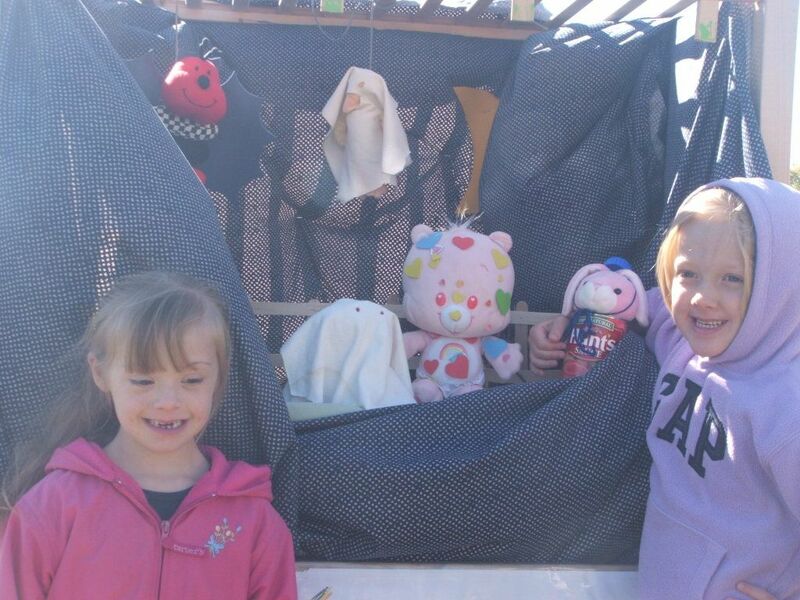 All the helpers for our entry last year. 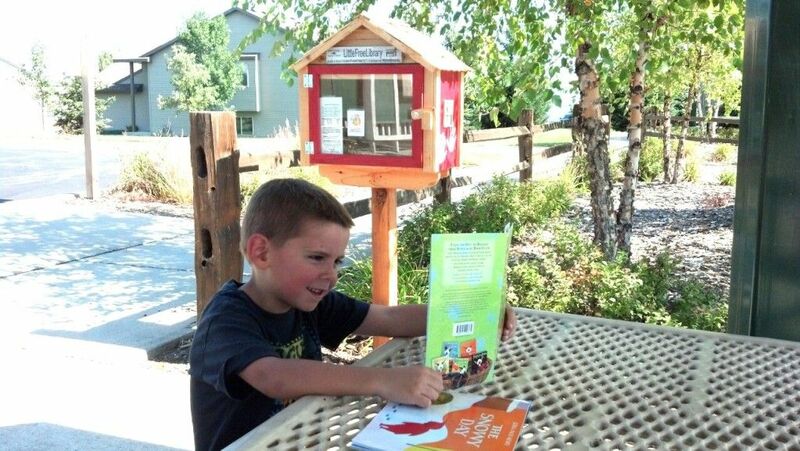 Here's a great and inexpensive neighborhood project for any of us, Little Libraries! 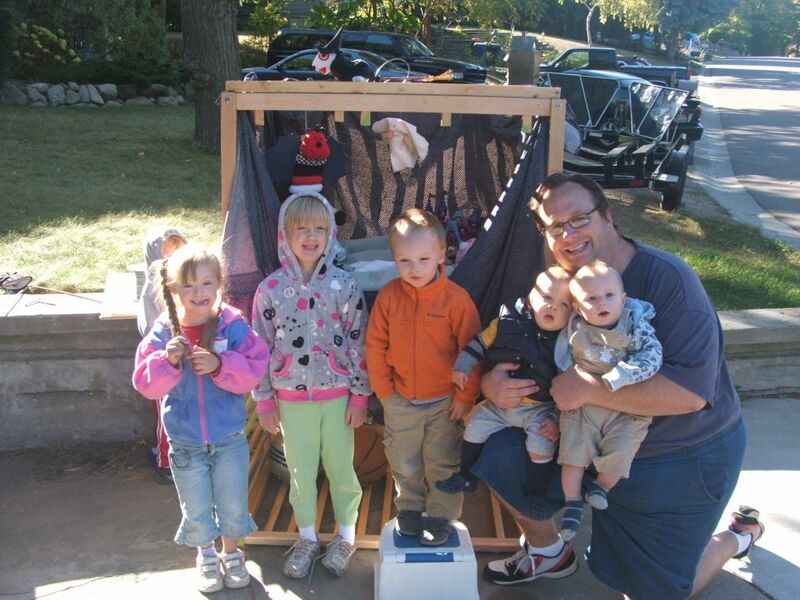 Family enjoys a quick trip to a little library at a city park in Otsego. This idea is to build or acquire a small house, install it on your yard by the street (or maybe work with the city and put it in your neighborhood park!). 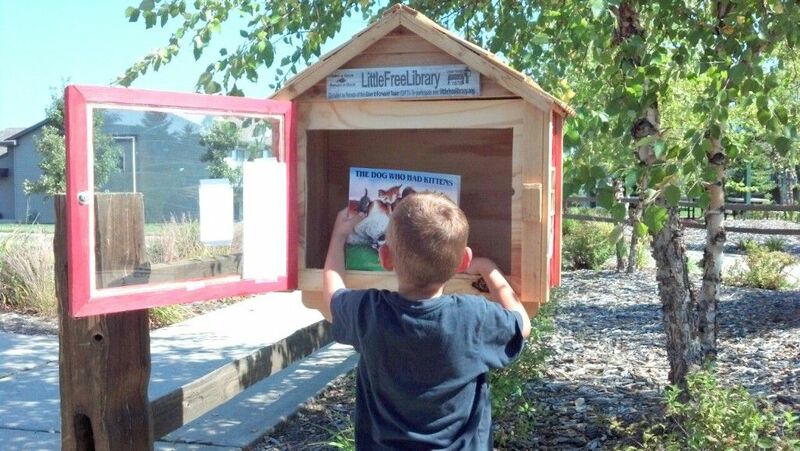 Put a variety of children's books (or adult) in the house, and make your neighbor hood a place! 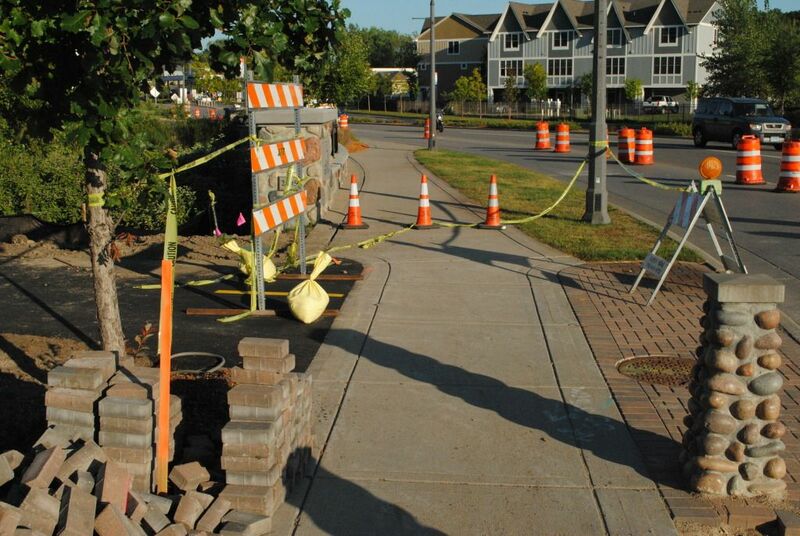 These are pictures from a friend in Otsego, where a couple of these have been installed. These would be nice additions to any neighborhood. 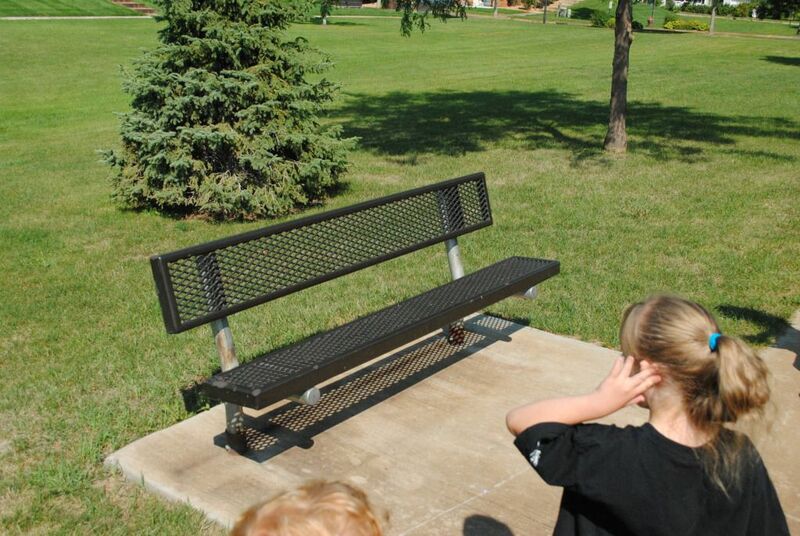 A great and easy thing to make your neighborhood a Place! Please let me know if you have an idea that you think should be shared on "A Place in Mound"! Let me start by saying that "A Place in Mound" is not about looking back, and trying to change what happened, or second guess decisions. This post does look back, only because it's fresh in the mind, and let's us look deeper at the topic. A recent post here asked a deeper question about why would city create a development that doesn't bring in more property tax revenues or other value to the city. After that post, I did some more thinking and research about the Walgreens development in Mound, which I refer to as the "Walgreens Block". Former Johns building, where Walgreens Block will be constructed. Imitating my good friends at Strongtown.org, I tried to compare what property taxes would be collected, to what the new Walgreens block would collect after it was built. 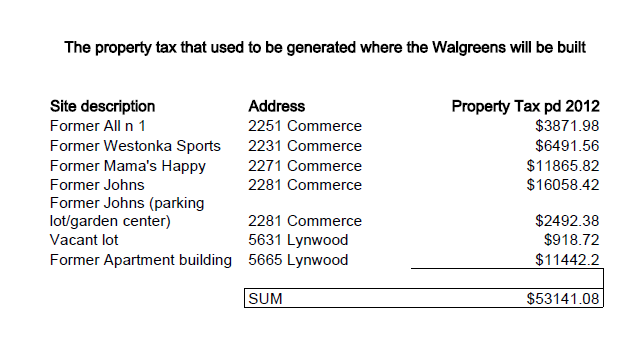 Here's what the property taxes would be if the property would not be improved by Walgreens. 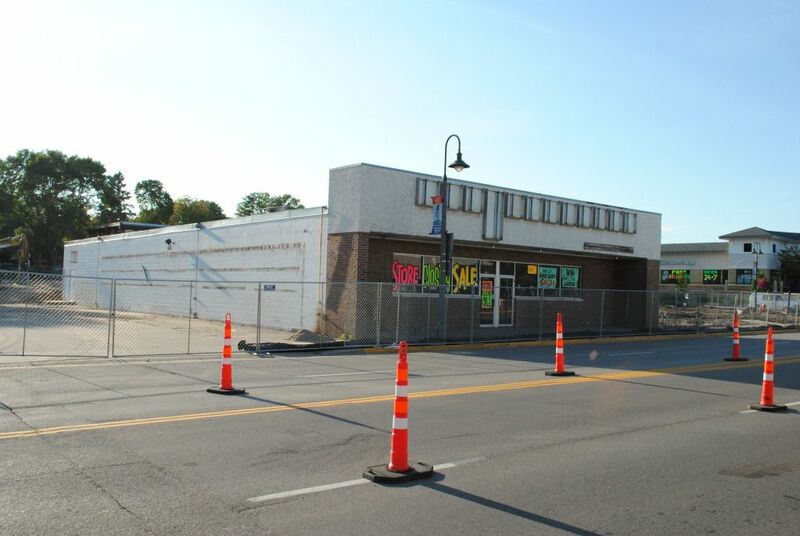 Property Taxes collected on the Walgreens Block before redevelopment equal $53,000. 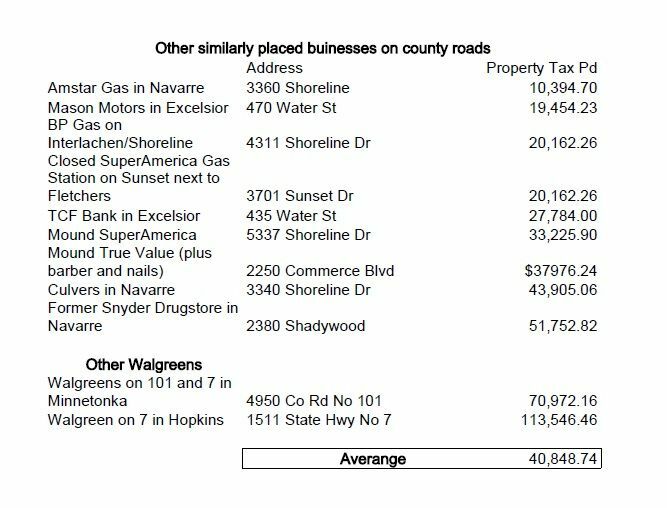 I don't know what the property taxes will be after the Walgreens will be built, so I looked at other businesses on County Roads that seemed similar sized, or the location seems similar. I also sought out a couple other local Walgreens in Hennepin County. Property taxes collected on similarly placed businesses, or other nearby Walgreens. Amounts varied greatly here. I'm uncertain why Amstar in Navarre pays so little in Property taxes, while the abandoned Snyder Drug store across the street is over $50,000. Averaging the businesses doesn't mean much in my opinion, but I shared it just because I was interested in what that calculation would be. It's uncertain if the property taxes raised on the Walgreens Block will be more than what is collected currently. If it will be, it certainly doesn't seem like it will be much. Before I did these calculations, I would've assumed the city would get a significant boost in property tax revenue, but that would be wrong. Now I closely followed the discussions on Walgreens at both the Planning Commission and City Council, and I'm certain this issue was never raised, with the exception that it was expressed strongly several times the desire for Johns and Mama's Happy stay in town. As I discovered last week, it appears that cities (in general, not just Mound) don't even consider the financial circumstances of a new neighborhood development. In a time where city budgets are squeezed, and the City of Mound decides to let go of it's own Police Department, shouldn't the financial ramifications of future developments like these be carefully parsed, so the city can maximize the revenue potential of potential developments? There are other things of value Mound will gain from the Walgreen Block development. Some will say the street front will look better with a brand new Walgreens and the business climate will be improved. People find value with the pharmacy drive through, and everyone loves the little trail/outlet building that should be built after the Walgreens is done. Each of these, and more, bring value to the City of Mound. I don't mean to delegitimize them, but they are subjective, and hard to quantify. It seems to me that the numbers like I put together above, could be part of a financial look at future projects, to help the city decide the best way to leverage their positions to maximize revenues, especially in today's economic climate. I would welcome a challenge or a better way to look at the financial situations here for the city. I had a great conversation the other day about why "A Place in Mound" is my passion. My friend and I discussed our children's schools situations, including budget's and the subjects they studied. We talked about the issues our kids will be facing they will be growing up, including violence, and drugs. This led to us sharing our dreams for our children, and how they will deal with those issues when they face them. One of my goals for my children is to have them be independent and self sufficient. Every time my children ask me "Why is the sky blue, or how does a boat go", I turn it around and ask them what they think the answer is, and then we discuss what the right answer might be. Every time they say they are bored and want me to turn on the TV I refuse and they know they have to find something to do on their own. Our children are now old enough, and responsibile enough to go to the park across the street and play on their own, unfortunately there are rarely playmates out there. Crosswalk at Wilshire and Maywood, by Shirley Hills School and the Mound Fire/Police building. The sign says this is a safe place to cross, but everything else tells us otherwise. Ccrosswalks are on only two sides of this busy corner and sidewalk and path are on only one side of the street on Wilshire. In a few years, if my children want to go to a friend's house to play, I want them to be able to get there on their own. If I need a cup of sugar from a neighbor, I want my child to run and get it. And eventually, if we need something from a local business, I want to be able to send my child to walk or bike to the local grocery store to get it. Too many of us keep our kids in boxes. We keep them safe in the house, we buckle them safely in the vehicle, and drive them everywhere, where we cling to their hands as we cross parking lots until we are safe inside another box, be it a school or store. What do our kids learn about their community when being lugged around in this fashion? I think they learn that the world is a place to fear, that strangers are dangerous and to be avoided, and that streets are for cars. Crosswalk on Shoreline Dr is being rebuilt so bicyclist have to slow down. We are told the priorities here are safety, but we are also being told it's more important for cars not to have to slow down and worry about bicyclists and walkers. This is what "A Place in Mound" is about. It's about creating worthwhile places for my family to go, and safe ways to get there. It's about giving people options when they step out of their house. 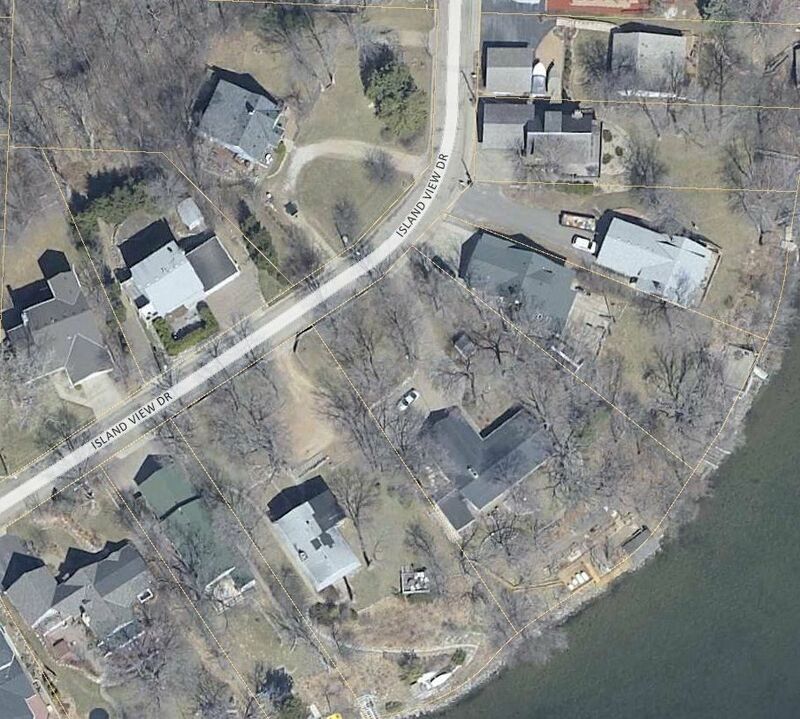 Taking a stroll or biking down Tuxedo, or many of Mound's Boulevards, it is clear you are not the priority. In fact, you feel like you're in the way, and are causing a problem. 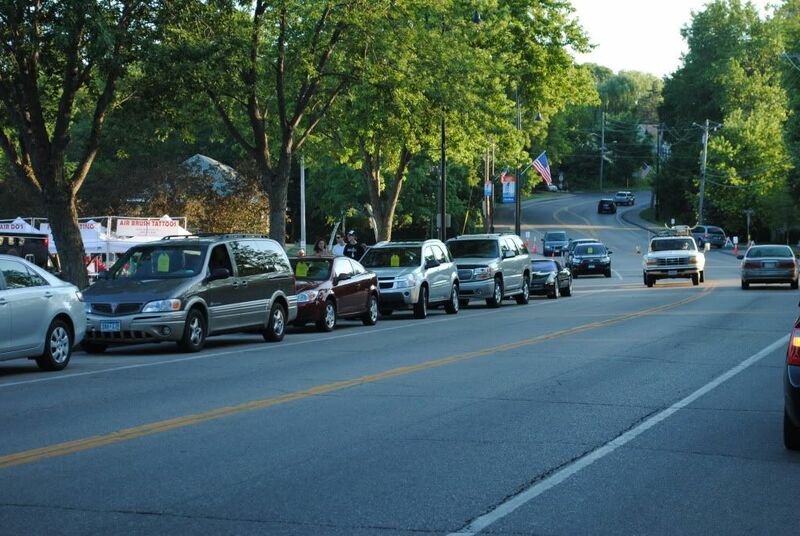 The citizens of Mound deserve safe opportunities and RIGHTS to use our streets in the fashion that they choose. Streets are not just for cars, they are for everybody. Like every other city in the United States, the Mound city budget is in trouble. Funds from the federal and states are drying up, pushing their money issues down to counties and cities, who are desperately attempting to balance budgets in very new creative ways. City staff and services are being reduced, and property taxes are creeping up. I had a great opportunity recently to tour and hear about Conservation Design, a way for a city to develop neighborhoods that initially looks at the natural terrain, and builds a development around the natural features the city and developer would want to preserve. In a nutshell, this can put more homes in a new neighborhood, yet a significant part of the natural resources are preserved, giving each home owner direct access to the natural part of the neighborhood. Towards the end, I was talking with a City Planner who was intimately familiar with the Conservation Design concepts, and we were talking about city revenue. I asked how much more property tax revenue the city took in since there were more parcels and residences developed on these lots. I was a bit surprised as he hesitated, and essentially said the city didn't really look at those numbers. He supposed the city took in a little more revenue, but it didn't matter as most of the city revenues come in from the commercial districts. I thought this was crazy. So at the end of the meetings as things were wrapping up, I asked again, to everyone still in the room, "If there's nothing monetarily to be gained from these projects, Why would a city do this?!" There was lots of answers about better use of space, preserving the natural resources, and having better neighborhoods. Unfortunately there seem to be no financial reason for a development like this. Everyone LOVES new developement. It's a sign of progress. That's why big bridges get built, new Walgreens are embraced, and new neighborhoods are hip and exciting. But the hard question has to be asked from a business point of view... can a city benefit financially from the development? Later in the article, it points out the fact that lakeshore outside of Minneapolis and St. Paul is almost entirely privately held. It would be difficult for cities to set up a park like Lake Calhoun. This made me think about Mound's Lost Lake. 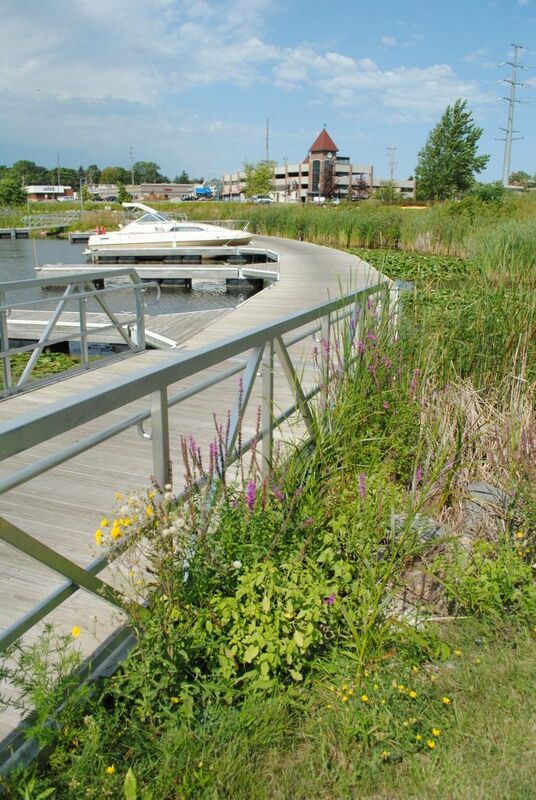 In Mound's Comprehensive Plan, there is a vision to have a trail around Lost Lake. I did a quick check, and a lot of the land is already city owned, and much of it is Hennepin County forfeited land. There are a couple of private owners of course along Commerce and Bartlett, but not many. Perhaps this is an opportunity for Mound to press ahead with this plan to add to the Andrew Sisters' Trail. Andrew Sisters Trail - Would completing the circuit around Lost Lake make this more of a destination? This plan would not be the easiest, nor the cheapest, but clearly people are looking for places like this. Completion of the Andrew Sisters Trail could make the Auditors Road more of a destination. 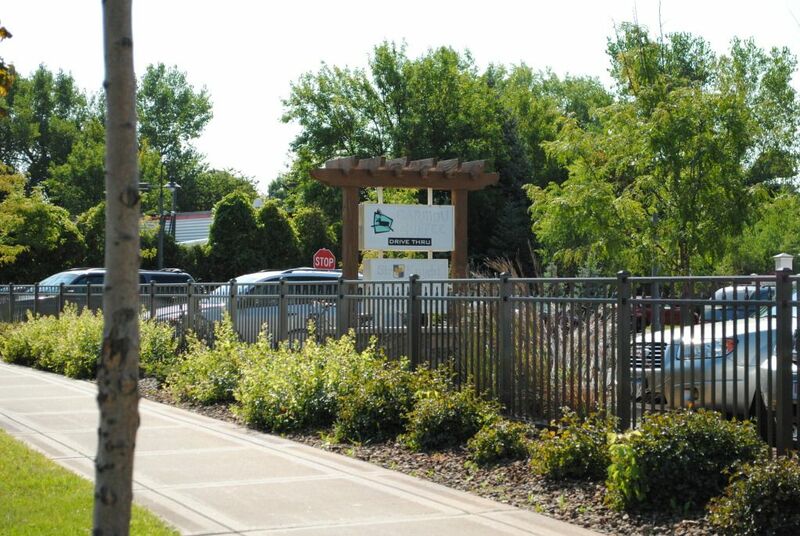 Today, of course, is the first day of school for kiddos throughout Mound, which gives us a great opportunity to showcase another great organization here in Mound, the Westonka School District! Children, parents, and the whole community in general, are fortunate to have a great school system facilitating education. 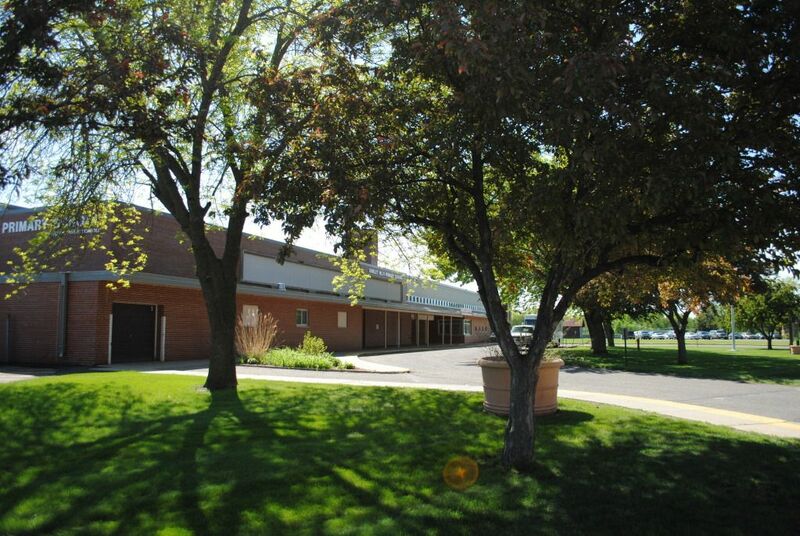 The Westonka schools has a early childhood center, two elementary schools, a middle school, and high school. All the schools are award winning, and students and facilities clearly take pride in their work and efforts. The Community Ed offers a broad range of programming, and is always looking for new opportunities to engage the community. In fact, the Community Ed department organizes one of my favorite city events, the Music in the Park series at Surfside. 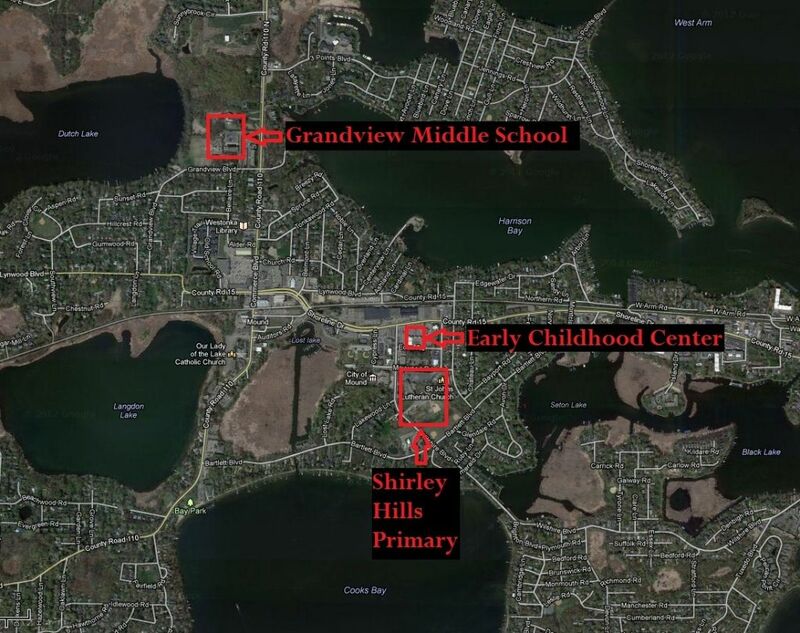 The placing of Shirley Hills Primary, Grandview Middle School, and the Early Childhood center is nicely centered in Mound, and easily accessible. Shirley Hills and Grandview located in neighborhoods so children could walk or bike to school (though many don't due to Mound's Boulevards). Mound Police and Fire are very close by, as well as downtown shopping opportunities. This is a great way to connect our schools and our downtown. Nicely placed neighborhood school locations. Each accessible, though there are some stroad barriers on each one. The High School and Hilltop Primary are projects from the 60s and 70s that put the facilities on the outskirts of town. There is one Minnetrista neighborhood that borders Hilltop, but the High school is very isolated. I can't imagine many students are able to walk or bike to those schools. Of course, great events happen at the schools, like athletic and fine arts events, and they are able to be wonderful 'places'. Schools placed on the edge of the city. Land is cheap, but we pay for it with buses and cars. Grandview included so you can get perspecive. Mound is fortunate to have an asset like the Westonka Schools. The city, school, and other organizations like Celebrate Greater Mound collaborate on projects, and work hard to make our city a great place. Looking ahead, the Early Childhood Center is doing their annual "Stroll-a-thon" in conjunction with Celebrate Greater Mound "Scarecrow Stomp". 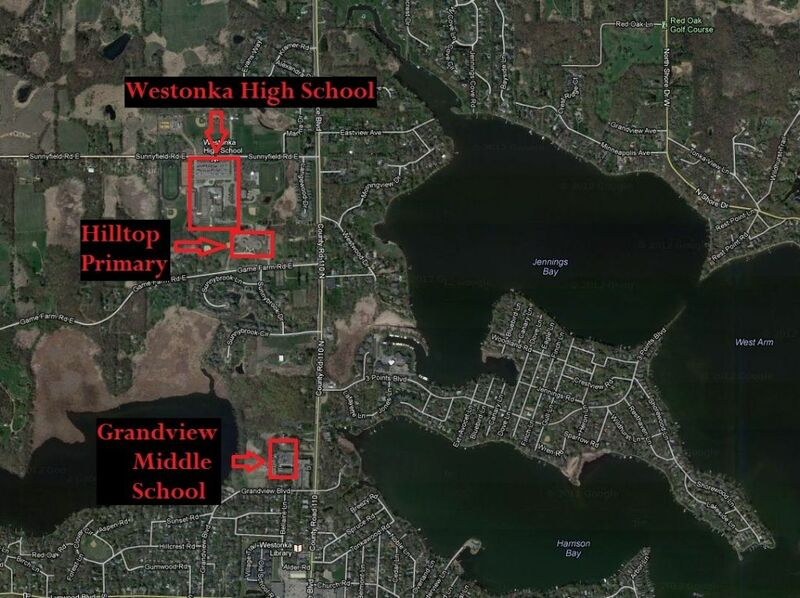 Westonka Schools is an organization that makes Mound a place to drive to, not drive though. After the last post about installing a public bike repair station near the trail, I did some soul searching. I'm an idea guy, and have lots of ideas about how to improve things in Mound, and I will continue to share them here, but everyone must understand I am not, and will not offer a 'solution' to our communities issues. What I offer are rational responses to our current situation. A response to a need to create a friendly city, Mound installed several benches around downtown. Here's a bench on Bellaire Lane between the library and Jubilee foods. Does anyone ever sit here? Perhaps it was a mistake to build it, but it's failure doesn't ruin the rest of the city. We are unfortunately bombarded with political messages and messengers filled with absolutes. No one ever gets everything right... I like to just try to be right 50% of the time! Lost Lake Villas have been started, how do we respond since they haven't been completed? What is the best thing to do? Should we do anything?! So when we talk about making things better in Mound, we have got to focus on the current situation, and do our best to set up Mound to be successful in the long run. Some will be successful, others will fail. That's ok. That's why here, on "A Place in Mound" we will be focusing on the little things. The ides that are relatively cheap, easy to implement, and make sense. And if our ideas fail, the city doesn't enter a 30 year depression like it's been since the Tonka Toy factory closed. Something went wrong here long ago, how do we respond to that rationally? How can Mound be made to be resilient to future business and planning failures? Because failure will happen again. There are no solutions to today's situations. Only rational responses. A public bike stand with tools to make bike repairs on the road. The idea is simple. Create a durable and useful tool for trail users. The stand has all the useful tools for most bike repairs including allen wrenches, screwdriver, and pry tools for tire tube changes. Public bike pump when you got a slow leak. To be bolted down to cement. Perhaps the bike just has a slow leak... most bicyclist hate to be slowed down by a semi flattened tire. This would give one of those folks a reason to stop and take advantage of the conveniences Mound has to offer. A great idea for Mound along the Dakota Trail. 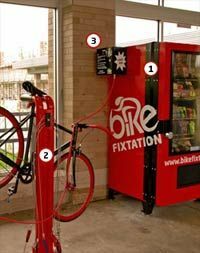 I could imagine this being a city investment, or perhaps a local business would love to invite bikers under their roof for a chance to connect. This is one idea of many that would be cheap and easy to implement, and give people a reason to stop in Mound. What ideas do you have so that Mound can be a place to drive to, and not drive through?